The Wait is Over: Our Blog Page is Finally Here! When you hire one of our skips, we transport the waste to our local fully licensed recycling centre to be recycled. It’s all part of our commitment preventing environmental damage. In fact, in 2015, we recycled 89.9% of the waste we received at our recycling facility. So, why do we invest so much into ensuring that much of your waste is recycled? Landfills are an unpleasant part of modern society. As we throw away more and more every year, adding to the top of the pile of unwanted food, electronics, plastics and pretty much anything else that people throw in the bin, the problem of excessive waste is only getting worse. The number of available landfills in the UK has dropped dramatically over the years, due to the perceived future solutions for waste management meaning that the waste management industry does not invest in new landfills. This could cause disproportional effects across the country, with some experts warning of a ‘landfill tourism’, as waste has to travel across the UK in order to be dealt with. With ever growing landfills, this option is just not viable anymore. Simply put, we are running out of space! The production of recycled goods uses less energy than sourcing the naturally occurring materials, and this creates a trickle effect of cost effective benefits for the country as a whole. When industries use recycled materials as opposed to having to mine the natural resources themselves, they spend less and, in theory, this can drive down the costs of goods as they become cheaper to produce. Recycling has also become an industry of its own, creating many new jobs that wouldn’t exist without a greater demand for recycled products as well as recycled resources to create these products in the first place. 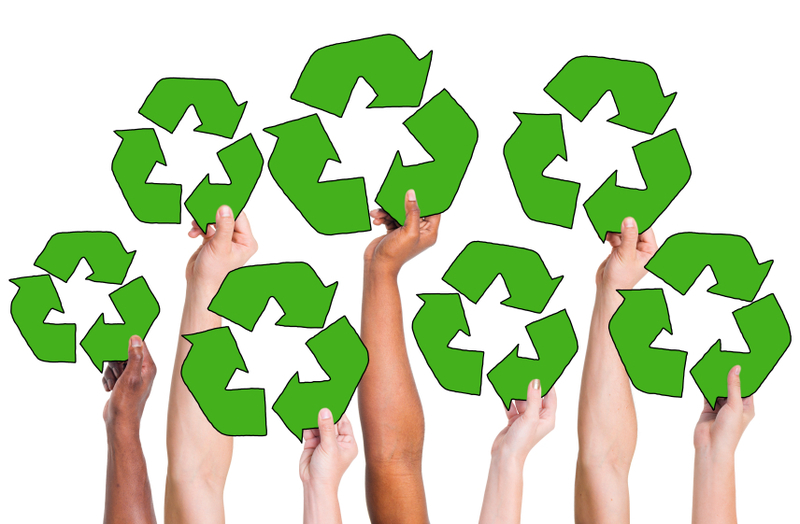 The industry is constantly finding innovative ways to use recycled materials, and as time goes on there is only going to be a more growing demand for recycling facilities as this industry booms. We all know that excessive waste is bad for the environment. Not only do non-degradable products find their way into nature where they can cause an awful lot of damage – it’s estimated that 12.7 million tonnes of plastic end up in the oceans every year – the production of new products uses a huge amount of energy. This use of energy can be decreased when products are recycled, improving pollution levels and helping to conserve the planet for future generations. At AE Faulks, we are committed to recycling the waste you place into our skips. You can choose the ‘green’ option when you choose us and be confident in the knowledge that we will do all that we can to avoid excess landfill waste. If you would like to find out more about our services and how you can hire a skip or even a road sweeper or tipper, please don’t hesitate to get in touch with a member of our friendly team. You can call us on 01664 822797 or email us and we will be more than happy to help.